The chaga tea is made out of the chaga mushroom that grows on birch trees all over the world in the northern hemisphere. It doesn’t resemble a normal mushroom but rather a black clump with a bright orange interior. It was used for centuries by several cultures living in the northern hemisphere as a treatment for digestive disorders and as a disinfectant. Its properties are only now being rediscovered once again by modern societies but it already presents great potential to help with different ailments. Does chaga help with weight loss? The chaga tea only started gathering attention in recent years and, therefore, it is yet to be submitted to more extensive scientific research to confirm its benefits. Nevertheless, the studies conducted and tests performed on animals present good indications that this tea can be very beneficial for human health too. It should be noted that the researches performed to date used the mushroom or extracts of it in their trials. The effect of the tea itself is yet to be studied, as it presents lower concentrations of nutrients. This is one of the most hailed benefits of chaga tea. To date, there is no research performed on humans to assess how this mushroom affects cancer and growing tumor, however, the ones performed on animals are promising. In a 2011 study, this mushroom was shown to decrease tumor cell proliferation without having a toxic effect of the normal cells. These results on mice were confirmed by a 2016 research about the effect of a continuous intake of the chaga mushroom for cancer progression. According to the researchers, this mushroom “can potentially suppress cancer development through the maintenance of the body temperature”. More research is still required in this field and this benefit is yet to be tested in human subjects. It doesn’t substitute any prescribed cancer treatment and you should always check with your doctor before drinking chaga tea to this effect. According to a preliminary 2015 study using mice as the tested subjects, chaga mushrooms contain polysaccharides that can potentially improve physical endurance. In this research, the mice supplemented with this mushroom managed to extend their swimming time. They presented an increment in the glycogen content in the liver and muscles but a decrease of blood lactic acid and serum urea nitrogen levels, which means the mushroom did not affect negatively the liver or the kidneys. The antiviral properties of the chaga mushroom have been studied mostly by testing it against the herpes simplex virus. In a 2013 study, the researchers concluded that this mushroom helps to fight the infection by preventing the virus from expanding and entering the glycoproteins of the cells. A different research from the same year reached the same conclusion, but it should be noticed that other mushrooms performed better than the Chaga in their fight against the herpes virus. The chaga mushroom shows potential in reducing the anaphylactic shocks induced by food allergies, according to a 2013 study, but there are no clinical trials performed with human subjects to confirm this effect. In a 2005 trial, the chaga mushroom also seemed to help with to reduce the inflammation of edemas in mice. In both cases, the researchers admit that further studies are still required. Two different studies, the first published in 2016 and the second in 2017, tested the effect of the chaga mushroom to treat induced pancreatitis in mice. In both instances, this mushroom helped to treat the condition and even regulated the gut microbiota of the mice, soothing the symptoms of chronic pancreatitis. There are no human trials to date to attest for this effect, though. The aforementioned 2016 study that assessed the effects of chaga mushroom to suppress cancer progression reported that the mice exhibit weight loss during the exams. In 2015, researchers of the Zhejiang University of Technology in China analyzed the effect of the Chaga mushroom on obese rats and concluded that it attenuated the lipid accumulation and decreased the levels of adipose tissue, showing potential to help treat obesity. 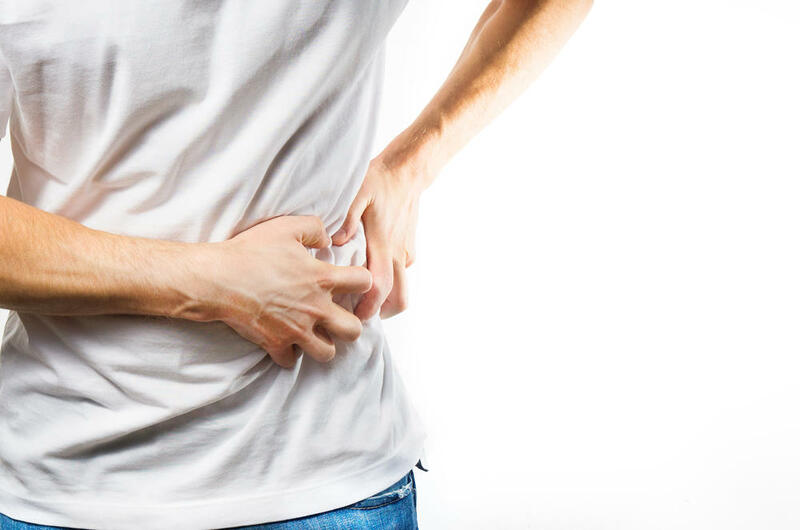 Nevertheless, in both instances the researchers could not understand the mechanisms that led to weight loss, leading them to recommend further studies before human trials can be performed. Furthermore, both studies were conducted using extracts of the chaga mushroom and not the tea, which presents less nutrient concentration. Chaga tea is still widely understudied and, to date, there aren’t any clinical trials confirming its safety. Therefore, these are also a lack of information concerning its possible side effects. Nevertheless, there is a case report of a 72-year-old Japanese woman who suffered kidney damaged after drinking chaga tea daily for 6 months in an attempt to help treat her liver cancer. This reinforces the need for further research to assess after which quantity does this tea becomes toxic. Furthermore, there are some indications that it can interfere with blood-thinning and diabetic medications. If you are taking any of these prescribed medications, discuss the intake of chaga tea with your doctor first. Most brands suggest the intake of 2 cups of chaga tea per day to keep a healthy and balanced body. They also recommend not taking more than 3.6g per day for adults. However, since the toxicity and safety levels of this tea are yet to be studied, there is no scientific-based recommendation for a daily intake or an indication of maximum intake per day. If you are using the tea as part of a treatment, discuss it with your doctor and ask for his advice regarding the daily amount you should be drinking. There are two different ways to prepare the chaga tea. This is the easiest and quickest method to prepare this tea. 1. For a cup of tea, pour 1 tablespoon of chaga powder (if you have it in chunks, grind them first) to an infuser and put it in the cup. 2. Add boiling water, making sure to submerge the infuser completely, and let it steep for 5 to 10 minutes before drinking it. You can also sweeten it with honey, sugar or milk to enhance its taste. This method is ideal for when you need to prepare the tea for many people. Use 1 or 2 chunks of chaga or measure 1 to 2 tablespoons of chaga powder per person. 1. Use a pot with a wide bottom, place the chaga inside and fill it with water. 2. Heat it up without the lid until the water begins to boil. 3. Turn the heat to low and let it simmer for 30 minutes. 4. Turn off the heat and let it cool for a bit before drinking it. You can remove the chunks from the water and save them in the refrigerator for the next time. This tea has an earthy flavor where you can normally detect a birchy tang. It tastes more similar to plant-derived teas than to those prepared with other mushrooms, but it still has the slightly bitter pang of the latter. When sweetened, its flavor becomes more similar to caramel or butterscotch. You can purchase Chaga mushroom in chunks or in powder. Some brands are already offering chaga tea bags for more convenience, too. This mushroom is mostly available in health stores, herbal shops and apothecaries. Make sure to always buy from a reputable source and prefer those brands with the logo confirming it is USDA certified organic, as they are normally of the highest quality. 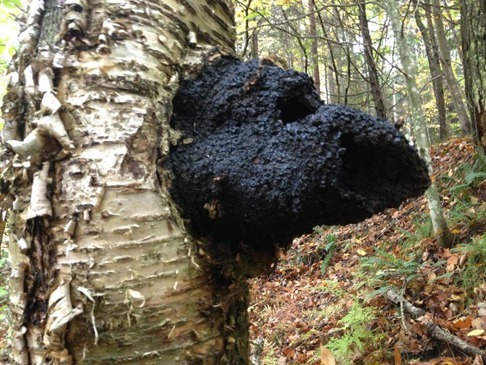 Instead of buying chaga, you can also harvest it if you have the opportunity to do so. Check out the video below to learn how to do it.